If you're not a creepy scumbag killer already, you'll get the chance to play as one in Heavy Rain's DLC. While talking to French gaming site GameBlog.fr, Quantic Dream CEO David Cage provided more information on exactly who the Heavy Rain Chronicles would follow, including one surprise. The Heavy Rain Chronicles are announced DLC packs that should cost around $5 and provide an hour or so of gameplay, each covering a prequel story that revolves around one of Heavy Rain's main characters. Madison Paige's Chronicle, in which she visits a taxidermist's house and finds out he's been doing some taxidermy on things he oughtn't to, has already been revealed and shown in demo form. This will be the episode that players can get for free by pre-ordering Heavy Rain, in stores February 23, 24, 25, or 26 depending on your region. It was announced that a second Chronicle would accompany the first shortly after Heavy Rain's release date, though the exact contents of this second pack are still unknown. 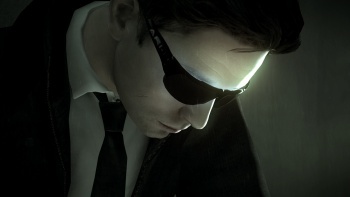 Cage did tell GameBlog that another of the DLC episodes will follow FBI profiler Norman Jayden, explaining how he became addicted to Triptocaine and where he got his scar. However, Cage's big bombshell announcement was that a future DLC pack would actually put players into the shoes of the Origami Killer himself, the game's main villain if you will. Through the Origami Killer's Chronicle, players will find out why he's such a f**ked up dude. There are still two other lead characters for the Heavy Rain Chronicles to follow, Ethan Mars and Scott Shelby, but Cage didn't mention them. Because these short DLC packs are likely to have the same gameplay elements of Heavy Rain itself, I would guess that the main characters can die and the game would still continue on. In this case, I would advise not playing the DLC packs first, or else there won't be any characters to play as in Heavy Rain if you kill everyone off. Or, maybe you could just make the Origami Killer take a long walk off a long-but-very-slightly-shorter pier, and win the game. Platinum trophy gained.